If you anticipate remaining in your home for a relatively long period, you will probably need to repair or replace your roof at some point. Roofs can take a beating from severe weather issues, occurring more frequently as we deal with drastic climate changes. Over the years, wear and tear of materials may also lead to roofing projects. As a homeowner, it is critical to arm yourself with knowledge. If you plan, in advance, for necessary repairs, you will reduce the number of surprises that knock you for a loop. With some long-term planning, you can start to prepare for these events in advance. Even if you remain vigilant about checking your home for signs of roofing problems, you need a professional roofing assessment. To be safe, you should schedule an experienced company like NWA Restore It, Inc. to handle this task annually. Property claim specialist company with HAAG certification: This roofing inspection certification is the only one that all insurance companies recognize. Preferred contractor for many insurance companies: We are qualified to handle roofing claims through insurance providers as well as calls from individual customers. Experience handling a wide variety of roofing jobs: Our teams handles anything from replacing entire roofs, assessing and scoping roofs for damage that is a covered insurance loss, repairing storm damage as well as any other roofing maintenance. As an affordable general contractor in Bentonville, AR, NWA Restore It, Inc. is committed to protecting our clients and employees. Customers are always welcome to check our references. After you hear other clients speak about our quality work, schedule a roofing assessment with NWA Restore It, Inc. now. When you have an active family, your carpets show the daily grime trekked into your home. From juice spills to mud on sneakers and pet accidents, your once beige floor coverings can now look jet black. Besides the unattractive appearance, embedded dirt can present health hazards. Have you attempted to scrub your carpets vigorously without budging the stubborn marks? After these efforts, have you made these filthy spots look even worse? Here are some pointers to avoid these pitfalls. Scrubbing vigorously: Overzealous scrubbing damages carpet fibers. This ineffective approach for removing stains will probably push the stain deeper into the carpet. Scrubbing also damages the carpet fibers by untwisting them and causing them to fray. Blotting is usually more effective and safer. Delaying action: You have to get your children to school, so you run out the door. By the time you return home, the juice spill has dried. The carpet fibers and padding have absorbed the liquid. When you try to scrub the stain at this point, odor and mold may result. Selecting the wrong cleaning product: If you pick the wrong product, permanent damage and even discoloration may occur. Read the label thoroughly, and check that you select the right one. Then, follow the instructions carefully. Skipping new cleaning solution test: You don’t have the patience to test a new product and just want to get the job done. When you rush through this process, you may pay a higher price. Take the time to do a patch test on a hidden area to determine any chemical reactions and resulting damage. Sprinkling excessive amounts of a deodorizing powder: To eliminate a nasty odor, you may think that spreading extra powder will do the trick. However, this enthusiastic effort may backfire. You may have difficultly removing the double layer with your vacuum and be stuck with extra powder. Using excess amount of cleaning chemicals: Similarly, attacking your stain with a generous amount of the cleaning solution may not produce a cleaner carpet. Instead, the chemicals may damage the doused areas and create a buildup of dirt-friendly residue. Avoiding the expense of professional carpet cleaning: Most carpet manufacturers recommend hiring an IICRC-certified technician to clean your carpets every12 to 18 months for warranty protection. Besides extending the life of your carpets, a professional carpet cleaner will help you enjoy a fresher indoor atmosphere. Renting faulty carpet cleaning equipment: You may think that renting carpet-cleaning equipment will help you save money. However, some rental machines are damaged or not serviced correctly. Ultimately, they can damage your carpets and leave excess cleaning solution, resulting in rapid re-soiling and even mold. The IIRC also stresses the importance of hiring a technician who is certified in the latest carpet-cleaning techniques. NWA Restore It, Inc. follows IICRC standards precisely and trains accordingly. Our professional carpet-cleaning services can make your carpets look and smell completely fresh again. If you are looking for affordable carpet cleaning in Bentonville AR, call NWA Restore It, Inc. today! We like to think of our homes as a safe place to retreat. However, equipment, electrical cords and other items can all increase the threat of fires. It is important to be aware that even routine activities, like doing laundry, can put our families at risk. Stay in the kitchen when you are frying, grilling, or broiling food. If you must leave, even for a short time, turn off the stove. 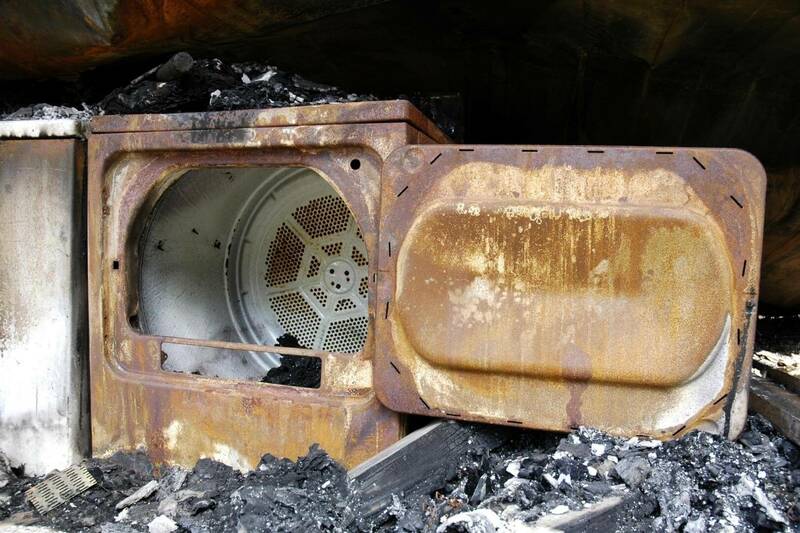 Keep fixed and portable space heaters at least 3 feet from anything that can burn. Turn off heaters when you leave the room or go to sleep. Inspect electrical cords. Replace any that are cracked, damaged, broken or loose. Be careful when using candles. Keep them at least 1 foot from anything that can burn. Blow out candles when you leave the room or go to sleep. Make a home fire escape plan, and practice it at least twice a year. Install smoke alarms on every level of your home, inside bedrooms and outside sleeping areas. Interconnect smoke alarms throughout the home, so they all sound. 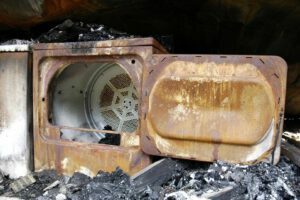 One way to reduce the hazards of dryer fires is to clean the dust and lint regularly after each use. Another key precaution is to hire a professional to clean the ducts thoroughly at least twice a year. This step could prevent harm to your family, save you thousands of dollars later in fire restoration and make your dryer more efficient—for additional savings on your energy bill. Despite all of these efforts, you may need help with fire damage restoration in Rogers, AR. Do you need immediate assistance or more information? Contact our company for 24-hour emergency services, or call to schedule an appointment now. Are you still putting buckets under a roof leak, which occurred several years ago? Are you concerned that the resulting dampness in your home has produced continually growing mold? Are you particularly worried that these problems are threatening the health of your family? In addition, the National Toxicology Program indicates that some estimate the existence of approximately 1.5 million species of mold. Frequently described as mildew, both refer to fungal growth. Light-colored mildew is generally powdery, whereas more colorful mold is often fuzzy. 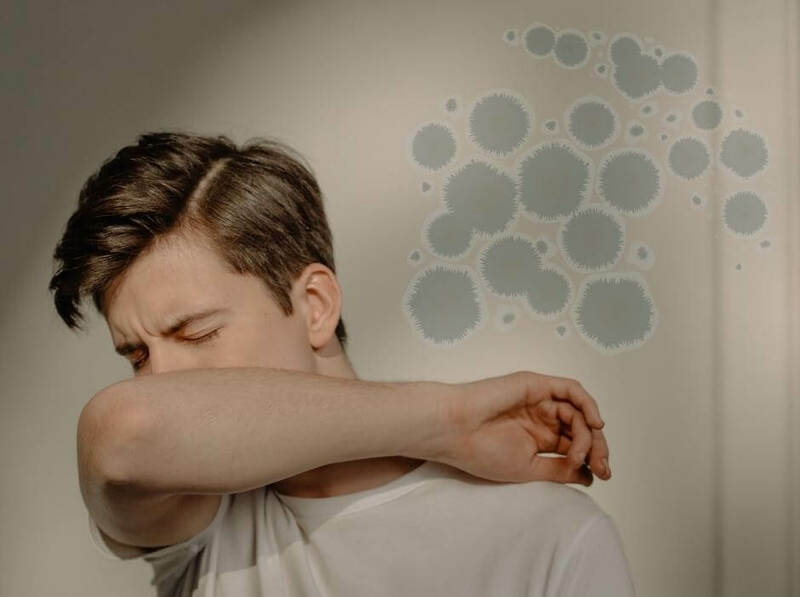 Reduce indoor humidity (to 30%-60%) to decrease mold growth by: venting bathrooms, dryers, and other moisture-generating sources to the outside; using air conditioners and de-humidifiers; increasing ventilation; and using exhaust fans whenever cooking, dish washing, and cleaning. Do you need professional help eliminating mold in your home? Our IICRC-certified specialists in mold remediation use advanced techniques to treat mold-damaged structures. For an immediate response, contact our 24-hour emergency service, or call now to schedule an appointment!